The repertoire will consist of songs from the golden era of rock. 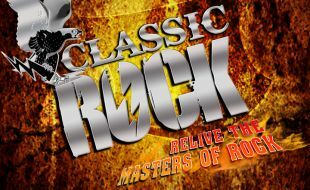 Classic Rock pays tribute to Cream, The Beatles, The Doors, Jimi Hendrix, Steppenwolf and The Rolling Stones from the sixties. Then rock on to Deep Purple, Led Zeppelin, Bad Company, Uriah Heep, Pink Floyd, Black Sabbath, Free and Golden Earring from the seventies. The greatest rock bands of the 80s are also featured including AC/DC, Heart, ZZ Top and Van Halen. You can look forward to explosive performances as you relive the masters of rock.